What fun it has been sourcing and tasting a parade of scrumptious candies from near and far. It goes without saying that I'm loving all of these sweet treats. As with everything I purchase for One Hundred Wishes, I only buy what I truly love. I hope you love them too. 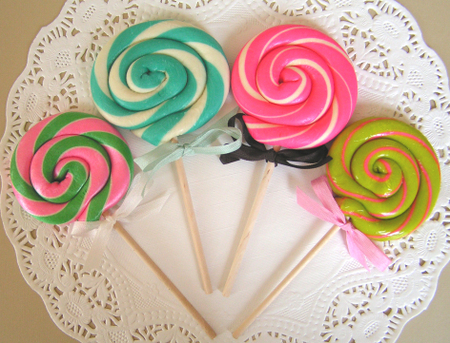 Gourmet handmade lollipops and candies in delightful colors and delicious flavors. 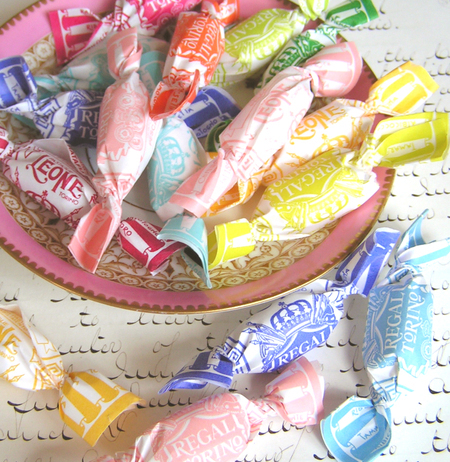 Italian confections wrapped in pretty papers to make you swoon. 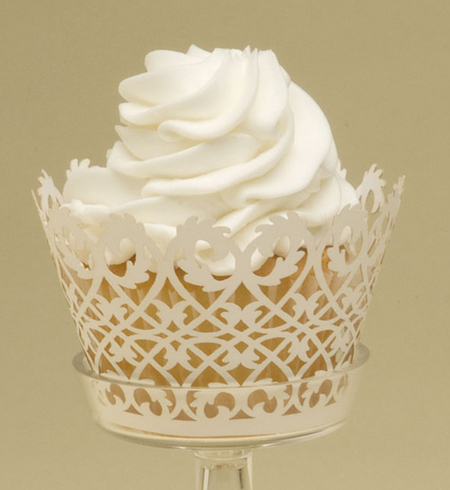 Intricate Cupcake Cuffs to adorn your baked (or bought) fairy cakes. Whimsical Cupcake Trinkets to nestle into the frosting (formerly found in the Other Lovely Bits section of the shop). Here are a few things from the shop to tempt your sweet tooth. 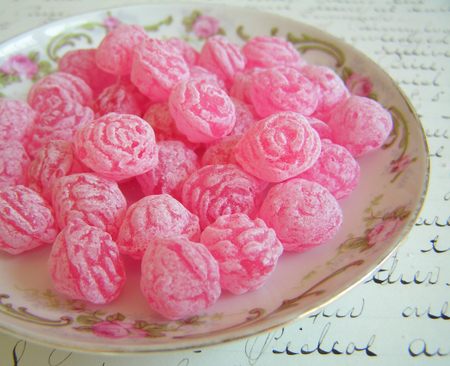 Rose Candy Drops from Italy. Made with Rose Essence. Also available in Violet. Yum. Strawberries & Cream Candy Bites. Melt-in-your-mouth hard candies in 4 flavors, including Root Beer Float, Cinnamon Sugar, and Apple Dumpling. 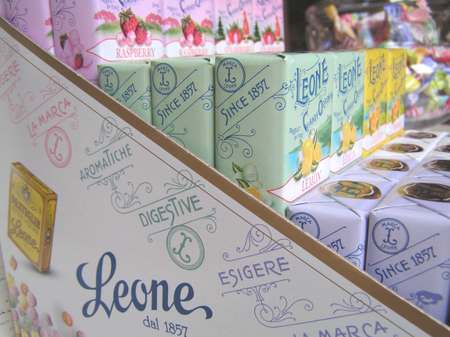 I first discovered these little boxes of Italian Pastiglies (candies) when George and I were in Rome and Amalfi. I fell in love with the candy shops there and popped into each and every shop I could find, scooping up exotic confections like these. 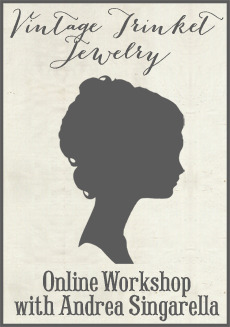 Can't get enough of the pastel packaging, antique type and images on the paper wrapping! Each little box is wrapped in this beautiful paper and filled with tiny candies. Available in 8 flavors. 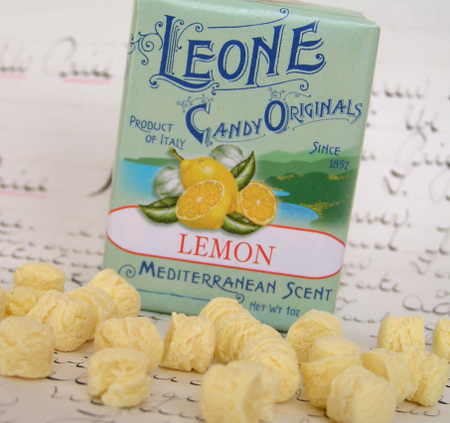 This particular company has been delighting Italians with their confections for more than 150 years. Cupcake Cuffs! These intricate paper wraps are a new favorite around here. Always eager to find unique ways to present cupcakes, I am thrilled to offer these to my customers. I don't think I've ever seen a more beautiful cupcake presentation. The cuffs are available in 6 different designs, all found here. If you'd like to see all of the Splendid Sweets, just click here. As a fun little gift to customers, all orders placed today through June 15 will receive a petite bag of Italian Cinnamon-Mints, wrapped in pink and blue foil....... very cute, very fresh and not yet available in the shop. Going to the shop now. My mouth is watering. OMG!!!! girl what fun treats!! im off to see all your sweets. Oh my, I am in sugar shock over all this sugary sweetness, the cupcake cuffs are wonderful! Thank you for sharing all these divine confections! ADORABLE! You always have the best stuff and the best pictures, yummy, yummy! Yum! Even though, as I have gotten older, I have lost my yen for sweets, these are just fabulous and are just as delicious for the eyes! Can't wait to order some up! Yummo, these not only look delicious but I bet they taste amazing! Going to definitely come shopping once I have saved up all I need for my US trip! The boxes alone are fab! 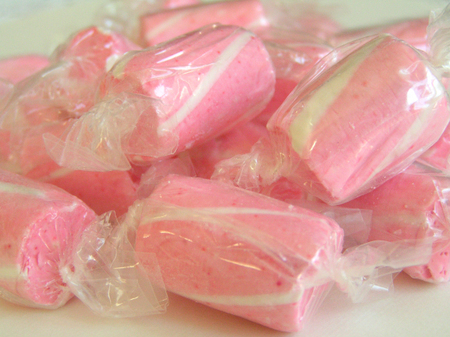 OH I am so happy you have these strawberry/cream candies!! Ever since you put some in my last order, I was hoping you would offer them in your store!! I visit your blog often to check out your goodies, but I have to tell you that you have out done yourself with these lovely and beautiful looking treats. I wish you great luck with this line. I will be back to buy some cupcake items for my daughters birthday! These are beautiful and look delicious! You must have MAJOR will power to have all these sweets just sitting in your studio! Those strawberry & cream candies are delish and I want to get some of those cupcake cuffs, darling! Oh my goodness, those look good enough to eat! Fabulous offerings, Andrea! thanks for the 'eye candy'! WOW ANDERA!! THE CANDY LOOKS SO WONDERFUL. I ALREADY PURCHASED MINE. NOW I JUST HAVE TO WAIT PATIENTLY FOR THEIR ARRIVAL. You are going to have such a HIT with this category. Order lots. I'll be back in June with a CANDY BUDGET! Everything is just beautiful. Beautiful pictures Andrea! They are very tempting! geeeeez louise!! I'm drooling...not only is my sweet tooth going crazy but the colors are so inspirational. Oh those lollipops...OH MY. You are so good Andrea! OMG i love these the cutest by any chance are any of them Kosher. I hope i hope! Those cupcake cuffs are over the top!! I've been looking for them for a while now. Glad to have finally found them.